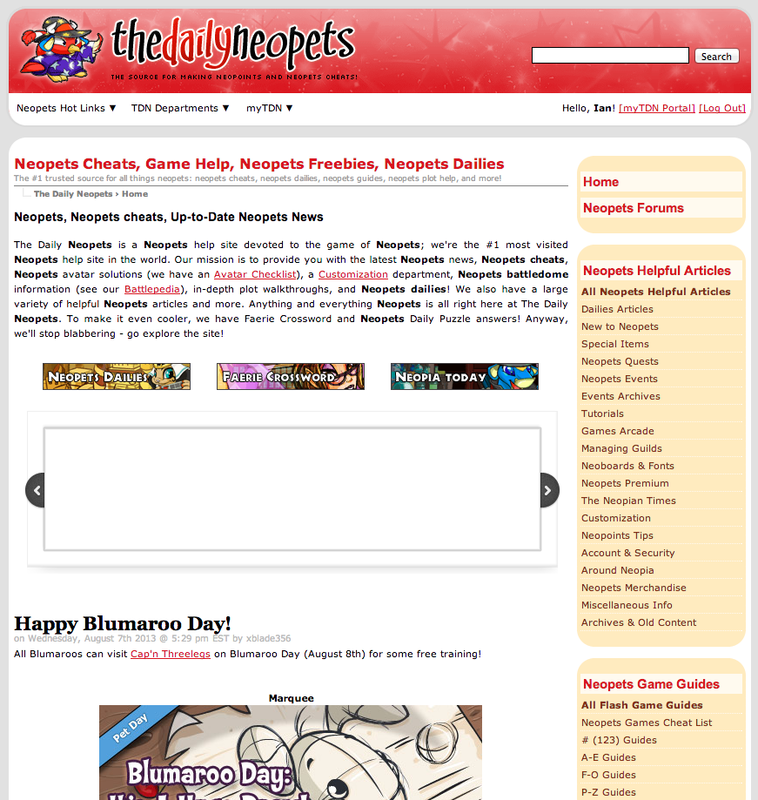 Our vision is to reach every Neopets player and assist them with fantastic guides and help. The Daily Neopets was started in 2005 as a joint effort between The Daily Neopets' creator, Ian McQueen, and Pink Poogle Toy's creator, Kym Huynh. 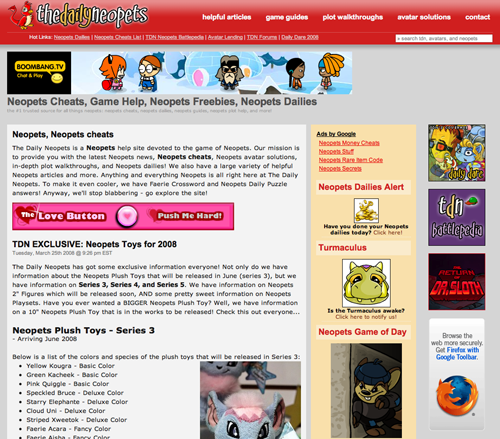 The Daily Neopets was originally intended to be a resource for unreleased Neopets news. Since then, it has grown to become the most-visited Neopets help site in the world, with thousands of pages of Neopets help. Team TDN has been together since 2005. Here is our current staff listing. If you'd like to get in touch with us, don't hesitate to Contact Us. If you'd like to check out our current job openings, please click Now Hiring. This is TDN's staff member Hall of Fame! These individuals are recognized and remembered for their exceptional contribution to The Daily Neopets over a number of years. Meet our site mascot, Jerry the Pteri! Pteris are loving creatures who soar through the skies with ease. When Jerry isn't preoccupied with keeping the Meepits out of our servers' ductwork, he can be found playing practical jokes on Team TDN or wreaking havoc on TDN's site header. Jerry continues to have an eventful life at TDN. Over the years, he's been kidnapped and his candy has been stolen. Rule of thumb: don't ever steal a Pteri's candy! Here we'd like to take the time to acknowledge those who have contributed to TDN in the past. Their works here will not be forgotten! These folks hold a special place in our hearts at TDN.